How do I buy a Tailored Living Franchise Franchise? 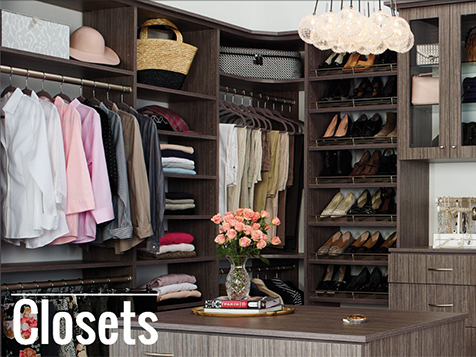 Reap the benefits of the growing home organization market. Tailored Living® featuring Premier Garage® is the right concept at the right time. As consumers hold on to their homes longer, start families or welcome elderly parents into their homes, they begin looking for ways to maximize space. This is fueling the tremendous growth of the home organization industry: an industry that is projected to increase 4.0 percent annually to $9.4 billion in 2017*. 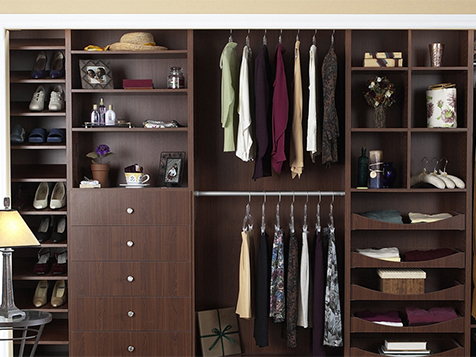 Garage organization systems and flooring are major trends in the home organization category. Sales of home organization products for use in garages are expected to post the fastest gains, rising 5.5 percent per year through 2015*. There has never been a better time to follow your dreams and own a Tailored Living® home based business. With your skills and their brand strength, you can work together to reap the benefits of the growing home organization market. Open Tailored Living Franchise in any of these available states: AK, AL, AR, AZ, CA, CO, CT, DC, DE, FL, GA, IA, ID, IL, IN, KS, KY, LA, MA, MD, ME, MI, MN, MO, MS, MT, NC, ND, NE, NH, NJ, NM, NV, NY, OH, OK, OR, PA, RI, SC, SD, TN, TX, UT, VA, VT, WA, WI, WV, WY. Tailored Living® is a member of a family of brands under the umbrella of Home Franchise Concepts® (HFC), parent company and franchisor of home improvement service companies that include Budget Blinds® and Concrete Craft®. As a franchising expert, HFC is dedicated to helping people go into business for themselves and to help them grow their home-based franchise business to be as successful as possible. 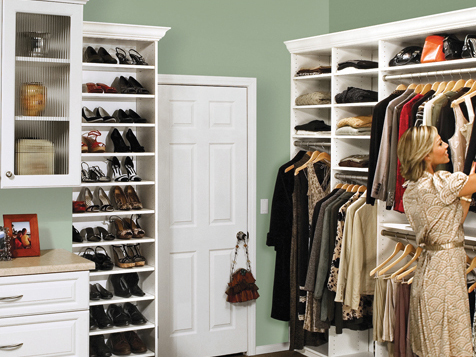 Tailored Living proudly offers homeowners high-quality organization and storage solutions for their garages, closets, pantries, family rooms, home offices and more, through complimentary in-home consultations. The company also provides complete design, measuring and installation services adapted to each client’s specific needs. Tailored Living's industry experience, commitment to service, and wide breath of product offerings has allowed it to grow into the largest whole-home organization company with nearly 200 franchise territories serving more than 2,000 cities throughout the United States and Canada. Recognized as a leader, Tailored Living is the recipient of multiple awards, including Best of Houzz badges for design and service, as well as franchisee satisfaction awards in the U.S. and Canada. Tailored Living’s products, services, and expertise in home organization and garage flooring have been featured on national TV shows such as NBC’s George to the Rescue, HGTV’s Property Brothers, DIY’s Rev Run’s Renovation, and W Network’s Love It or List It. Tailored Living® featuring Premier Garage® franchisees receive unparalleled support from a leader in the home improvement industry. There are always opportunities for franchise owners and their employees to brush up on the basics and build additional skills. Tailored Living® featuring Premier Garage® is looking for entrepreneurs with a knack for sales and a passion for giving customers top-notch service. The ideal franchise candidate will have a minimum net worth of $150,000. The minimum initial investment is just under $124,950. When looking for the next great franchise owner Tailored Living pays attention to driven individuals with an entrepreneurial spirit, sales expertise, and passion for customer service. Ideal candidates are collaborative and eager to learn the ropes about owning a franchise business. In exchange for your hard-work, Tailored Living rewards franchisees with support in everything from marketing to operations! Are you an ideal partner for this franchise program? If so, complete the inquiry form today to learn more. Tailored Living Franchise is not currently active in our directory, but here are some other recommended selections for you to explore.